The new mayor of Tower Hamlets has declared the council will not be selling the Henry Moore sculpture, as the former disgraced mayor of the borough had proposed. Draped Seated Woman, 1957-58, was ruled as property of Tower Hamlets Council on 8th July. In 1962 the piece was purchased by London County Council for £6 000 and was erected in east London's Stifford Estate, until 1997, when it was loaned to the Yorkshire Sculpture Park. Moore made the piece in 1957 as a reflection of his blitz experiences in London. From 1961 the other seated sculptures in the series went to Cologne, Yale University, Melbourne and Jerusalem. In February 2013, former mayor Lutfur Rahman, who was removed from office this year for his unsavoury behaviour, consigned the work to be sold at auction, which was postponed by claims that south London's Bromley Council were in fact the rightful owners of the Moore work. 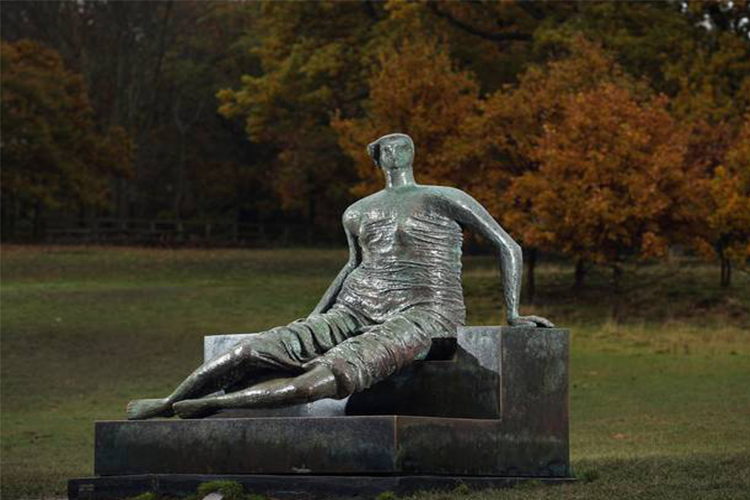 John Biggs, the newly elected Mayor, commented: "I want to reiterate my intention to reverse the previous mayor's decision to sell Henry Moore's sculpture, Draped Seated Woman," as the artwork "belongs to the people of east London and should be available locally for public enjoyment".